Retaliation - If an affiliated character is KO'd, deal 1 damage to an opposing player. Relation triggers for each active character with the ability but only once for each character. So if you had 3 Superman dice fielded and a Justice League character was knocked out, Retaliation would only deal 1 damage. Relation will only trigger while Superman is active, i.e., at least one of his dice is in the Field Zone. If he is knocked prior to or during combat, he would no longer be active and his ability could not trigger. This is in contrast with characters whose abilities trigger when taking damage (e.g., Hulk: Green Goliath, Iron Man: Inventor). When these types of characters take lethal damage, they still took damage and fulfill the condition of their ability. When a character such as Superman is knocked out, it is no longer active when the condition for the ability is met. ^ Black Manta's Retaliation. Wizkids Rules Forum. Retrieved 7-30-2015. 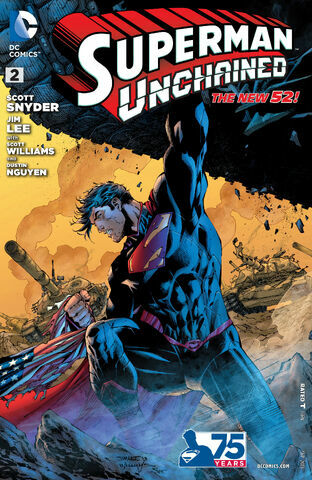 ^ Superman Unchained Vol 2013 #2. DCComics.com. Retrieved 6 October 2016.